How deep is your love? 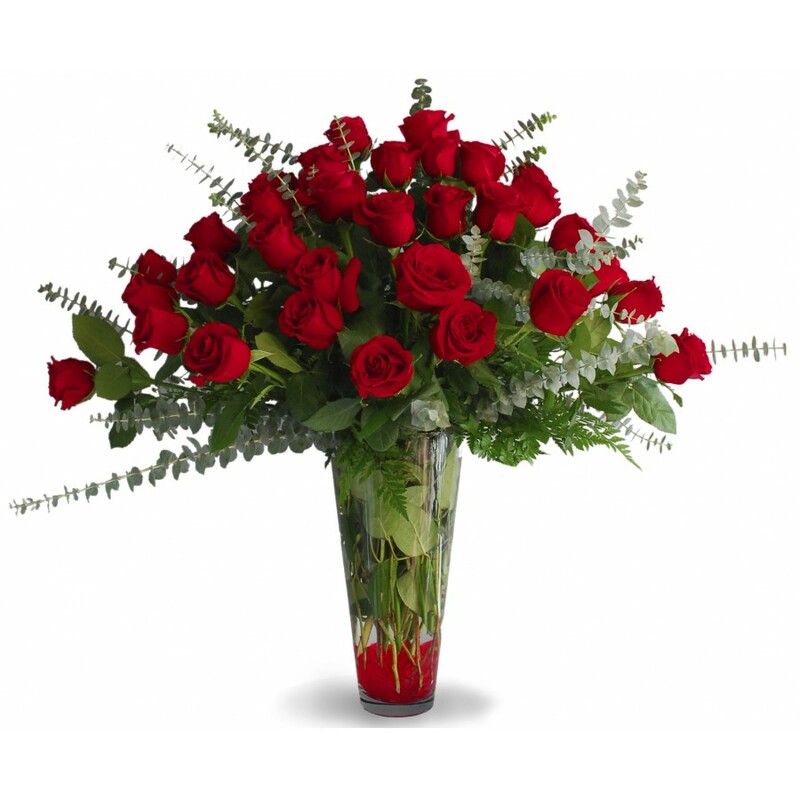 Leave her breathless with our classic bundle of red roses that speak love and passion. 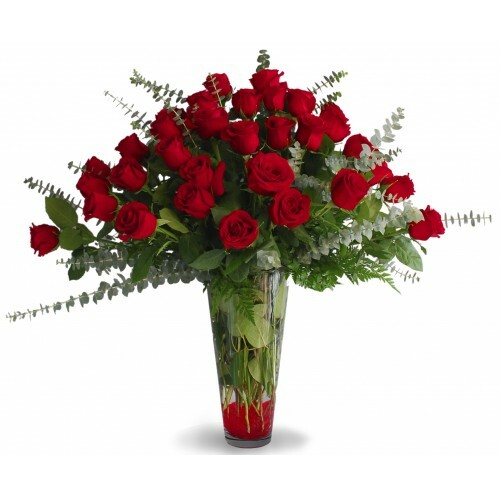 Included are three dozen long stem roses accented exquisitely with fresh Leather ferns, Lemon leaves and sparkling gems, supported in an elegant clear cone vase.